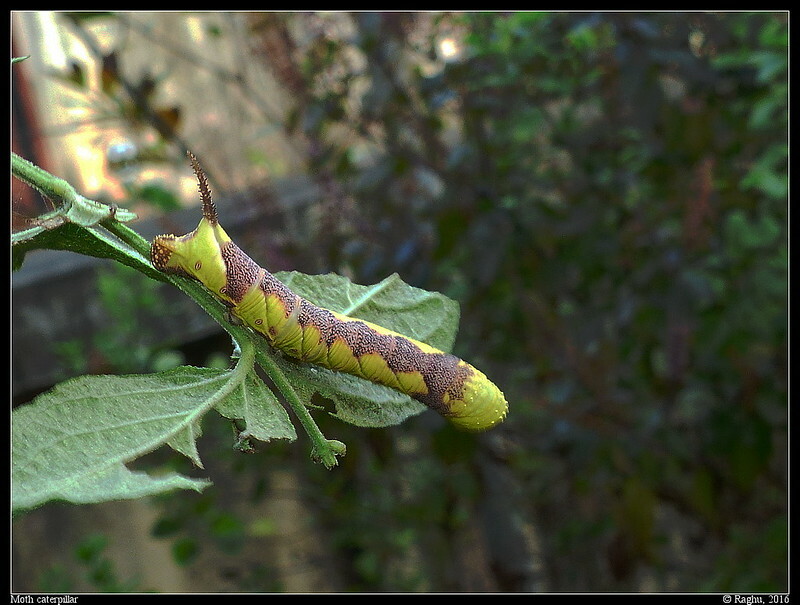 Moth caterpillar. 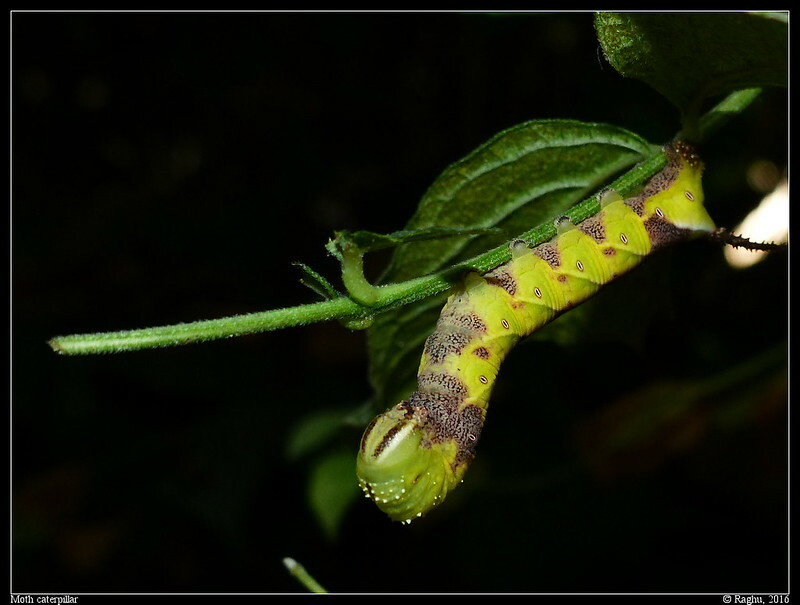 I have been watching it munch night-jasmine (nyctanthes arbor-tristis) tender leaves non-stop for the last two/three days and nights, growing really fast. 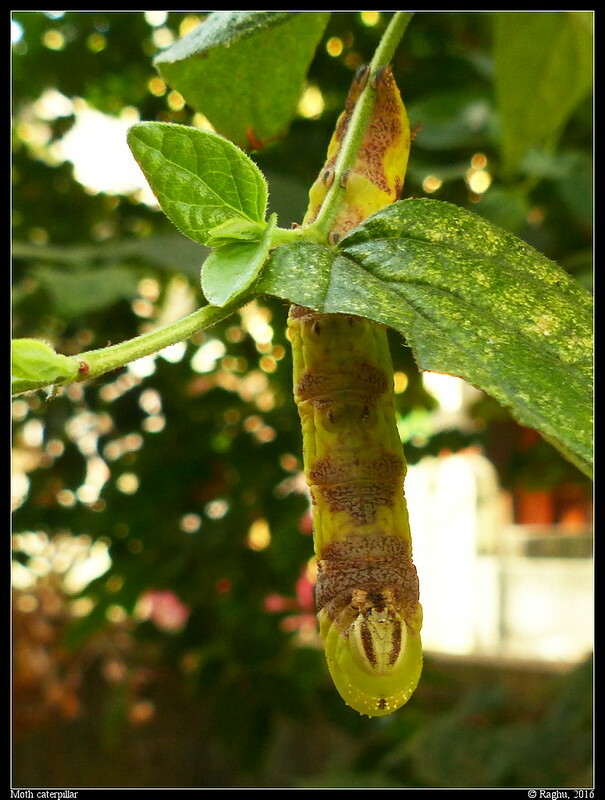 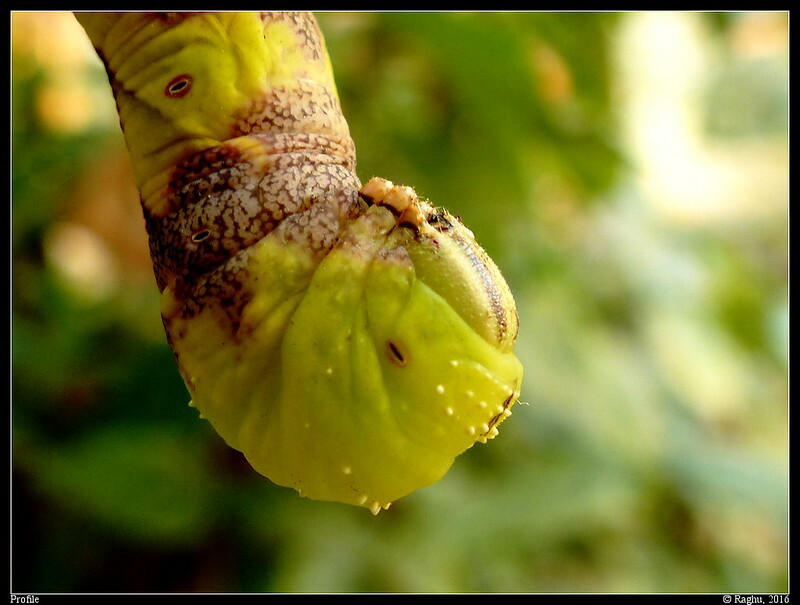 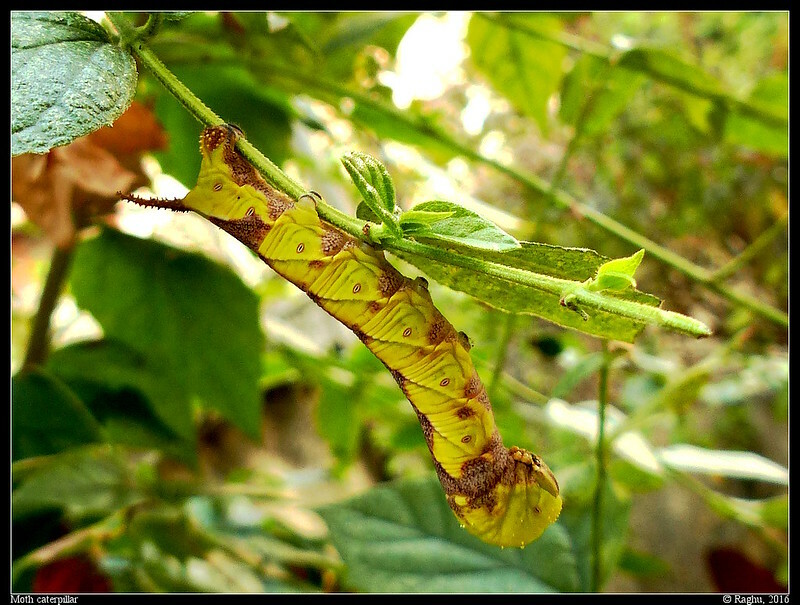 nice pics, i love caterpillars, hope it makes it to metamorphosis before some predator gets it.